Suitable for trade and industrial work. Ideal for use on site and where electrical hazards exist. 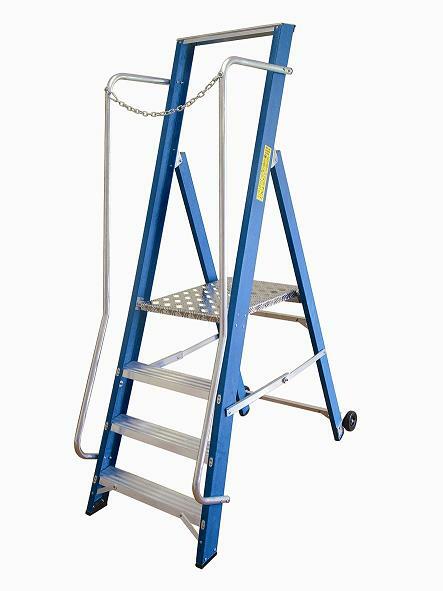 Safety features include handrail safety chain and wheels at rear for easy transportation.